The government is reportedly looking into means-testing as a way of cutting losses at transport companies. What do you think? IT’S REPORTED this morning that the era of free public transport for all older people could soon come to an end – as the government has set up a working group to examine the future of the scheme. The Irish Times reports that an interdepartmental working group has been set up to examine the viability of the scheme – which grants automatic free travel to anyone aged over 66, as well as those who receive carer’s allowance or have a disability. 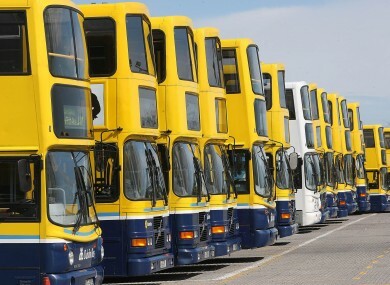 Among the points being considered, Carl O’Brien writes, is that public transport services still incur heavy losses which could be softened by charging fares to those who can afford to pay for them. Quite simply, today we’re asking for your thoughts: Should the free travel scheme be means-tested? Email “Poll: Should the free travel scheme be means-tested?”. Feedback on “Poll: Should the free travel scheme be means-tested?”.